Excellent audio quality and well structured. 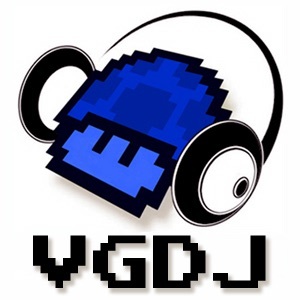 VGDJ rocks! An excellent podcast, eventhough it's on an indefinent hiatus. We'll miss you guys! Hope to see a new VGDJ in the future! I have never heard such professionalism from a podcast that wasn't actually done through a big name company or website. I've been listening since the Rayza and Aurora days, but I've gotta say... Wingless and Pixietricks make even better cohosts, and I'm enjoying the show tremendously! You two have great chemistry, and a better grasp of the Overclocked Remix community. I LOVE it! Keep it up, dudes. I absolutely love this podcast. I was never a frequenter of ocremix.org until I stumbled upon VGDJ, and boy am I glad I did! Pixie and Wingless, you two make excellent hosts. The remixes you play are sweet, and I can't help but laugh out loud listening to your witty banter. I listen to this show religiously- keep up the great work! Ok, what can I say? Fan of remixes, fan of remixers...OCR rocks, and this podcast brings OCR to the masses. Keep up the awesomeness, Guys! Aurora, Pixietricks, Rayza, YOU ROCK!! I've listened to VGDJ since they started, and I have found no better audio source for news from the OC Remix site. Granted there are no other audio sources for OC Remix site news, but that's just a coincidence. Not only does this podcast rule nearly absolutely, but it gets closer and closer to absolute rule with every show. Check it out!